A world-class line-up of top trad talent has been announced for Gradam Ceoil TG4 2019. Known as ‘the Oscars of traditional music’, the live concert and awards show will take place at the Waterfront Hall on Sunday 17th February, promising a night of foot-stomping entertainment right in the heart of Belfast. The highly anticipated live awards show, which will be hosted by TG4 presenter, Doireann Glackin and Belfast-based musician, Dónal O’Connor of well-known band, Ulaid, will feature live performances from the six Gradam Ceoil 2019 recipients, who will be recognised for their talent and contribution to traditional Irish music. 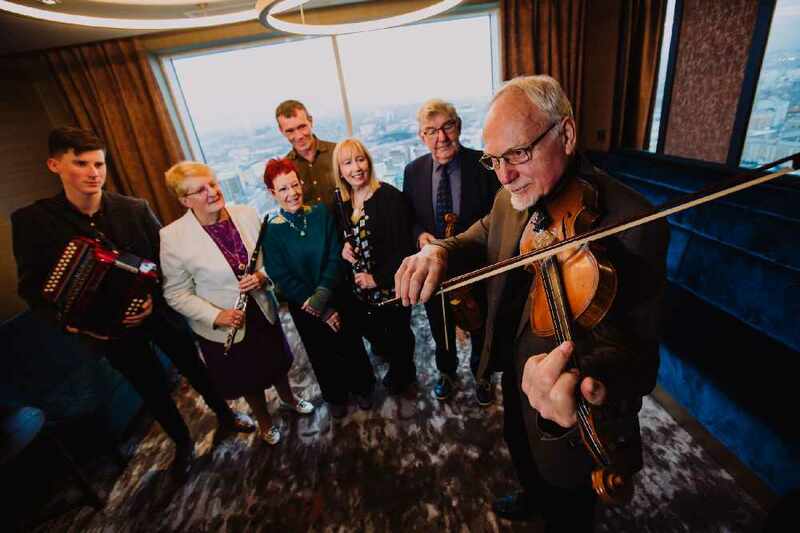 TG4 Gradam Ceoil 2019 recipients include: Musician of the Year, Catherine McEvoy; Young Musician of the Year, Conor Connolly; Lifetime Achievement, Nicky & Anne McAuliffe; Singer of the Year, Thomas McCarthy; Outstanding Contribution, Brendan Mulkere; Musical Collaboration, Tríona Ní Dhomhnaill. Legendary traditional Irish band, Four Men & A Dog, who formed in Belfast; and all-Ireland céili band champions, The Thatch Céili Band, pivotal members of the Irish diaspora in London, will also perform on the night. A dedicated Gradam Fringe Festival will also set the tone for the evening, with a host of free music events and workshops taking place throughout Belfast in the days building up to the main event. Running between Friday 15th and Sunday 17th February, this year’s Gradam Fringe Programme promises a packed line-up of free music events, workshops and talks taking place throughout the city. Full details of the Gradam Fringe programme can be found at www.tg4.ie/en/programmes/gradam-ceoil/the-concert/. The event runs from 9:00pm to 11:55pm on the following dates.